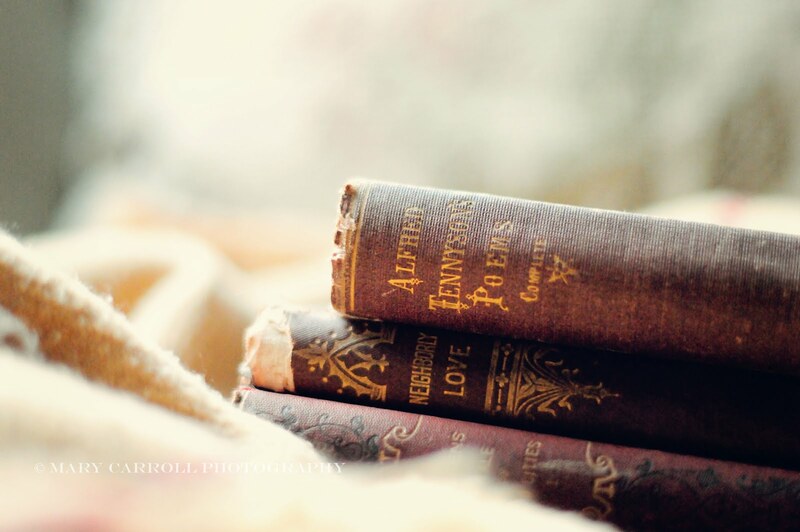 Beautiful photos Mary... You can almost feel the soul of the books! Hello, Mary! 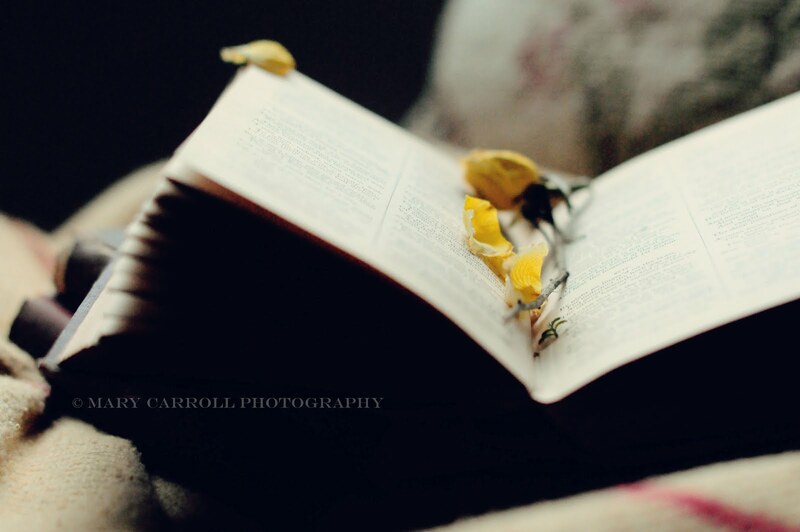 I also enjoy books, flowers and cameras. And birds and critters of course. The title remind me of the song in the movie "Sound of Music". Great post and photos, thanks for hosting. Your post is absolutely beautiful. Me, too!!!!!!! 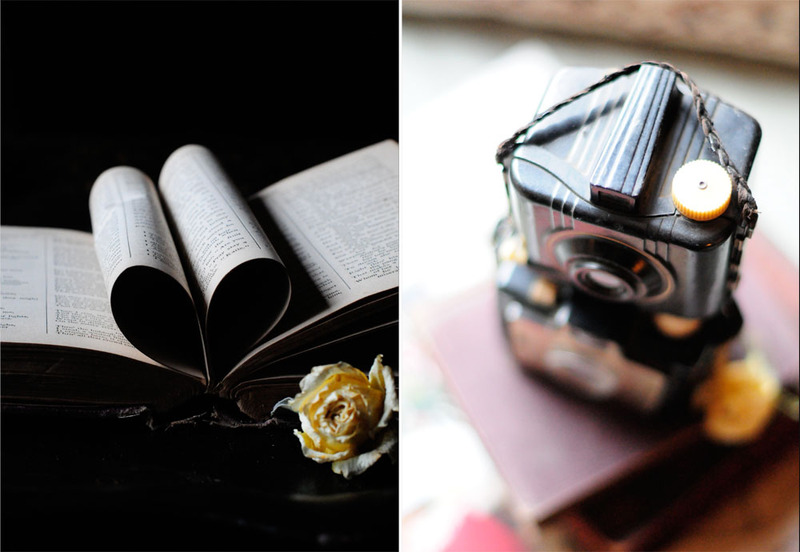 :D :D Books, cameras, flowers .. books, photography, roses ... YES!!!!!! You are a master at capturing the light, and each photo is truly lovely. I was listening to an interview the other day with Susan Tuttle. She mentioned Lens Baby. What an amazing set of lens. Beautiful and dreamy photos, Mary. I also like dried roses. I now own quite a collection of antique books that belonged to my Mom that she got from my my paternal grandmother! I will treasure them always. Oh, yes Me TOO! You can never have too much romance! Very pretty! Count me in as another "me, too"! Beautiful mosaic. I think of you often...I have my black and white polka dot pitcher, filled with silk tulips on my breakfast room table...your face comes to mind each time I see it and I say a prayer that all is well in your world. I do think that I have found a kindred spirit in you Mary! I just love your images and books also. I have so many and will not part with any. I wont get a kindle. I need books. Loved Loved you post. Your have been missed Mary. Mary you have shown us the essence of Mary. How romantic and creative. 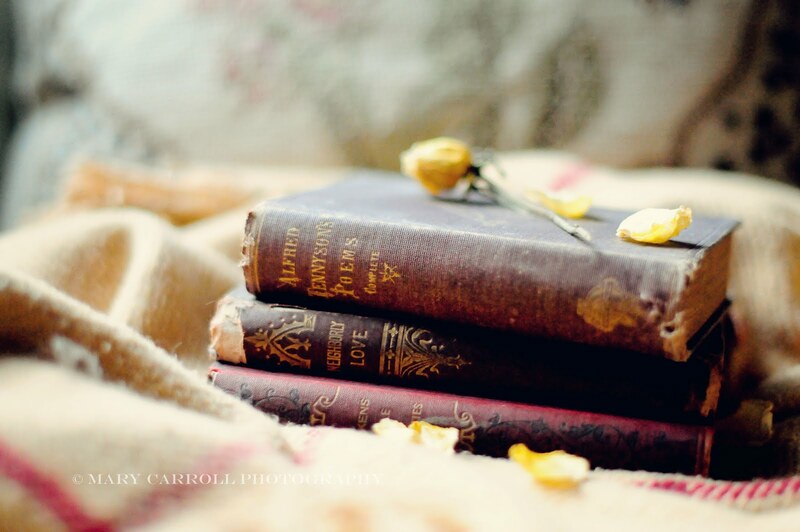 I too love books and I have a plate of drying red roses on the dining room table. Your meme offers us all a wonderful opportunity to dream and remember. I definitely agree that it is wonderful to find so many like-minded people in the world. I no longer feel totally weird! Your photos are just beautiful. I'll chime in with "me, too!" Lovely photos of lovely things. Lovely photos and have a great monday!!! These pictures are lovely. You have such a beautiful way of staging your pictures. I look forward to Mondays. Lovely vignette using your romantic flowers and books. Thanks for hosting MM. Beautiful pictures, Mary. Once again your photography has inspired me. Beautiful subject matter for your gorgeous photography!!! Ah~h~h...so~o~o romantic! Beautiful, Mary! And a big "ME, TOO!" here. 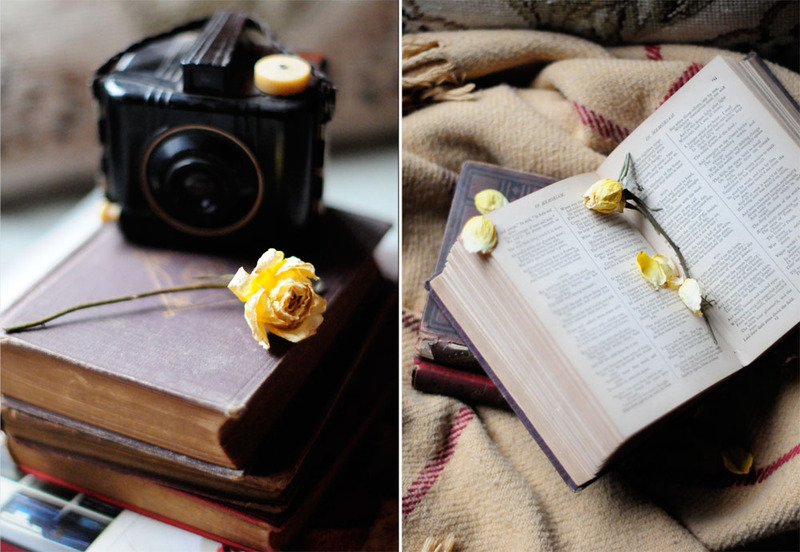 I love the combination of old books and beautiful flowers. Your photos are so beautiful! I love your style and the way you present them. MAGNIFICENT!! Very beautiful, I love your photography Mary ! Your pictures of old books got me thinking about some encyclopedias I've had since I was a kid. Well, they were in my parents' home until my father died in 1999, then they moved to a book shelf in my living room where they lived, unopened, for the next 14 years. I dumped them on the floor and they made a lovely picture which topped my blog that day which talked about getting rid of stuff and the memories they evoke. 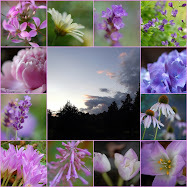 Your pictures of flowers led me to write about my garden's many lives. I've recently learned to post pictures on my blog and it's very satisfying. Thanks for doing what you do. Visit me at morningprayerblog.blogspot.com to see where your ideas took me. Thanks for the stimulation!